JoEllen Carruth thanks you for praying for Darrel Ray. He’s home and recovering nicely from eye surgery. Rusty Williams has some serious health issues and is hospitalized in Covington. Please add him to your prayer list. A resident of Greensburg, passed away on Thursday, September 21, 2017 at her home. She was born August 4, 1918 in Bluff Creek, LA and was 99 years of age. Preceded in death by her husband of 49 years, Frank S. Lombardo; parents, Emmitt and Lena McLin; a brother, John E. McLin; two grandchildren, Paul and Paula Lombardo; and great grandchild Isabella Lombardo. Survived by sons, Frank Lombardo and wife, Ellen, and Joe Lombardo and wife, Catherine; grandchildren, Tony Lombardo and wife, Laura, and Joseph Lombardo, Angela L. Cernich and husband, Oscar, and Joey Lombardo and wife, Nikki; great grandchildren include Nick and Sydney Lombardo, Max and Samantha Lombardo, Ella, Emilia, and Elliott Lombardo, Austin Wascom; and great great grandchild, Gabriel Wascom. She grew up and lived in Pine Grove, La. and was a long time friend of Pine Grove Methodist Church. She was a member of St. Helena Catholic Church in Amite, La. Also a member of Catholic Daughters of the Americas (honored as oldest living member), the Overload Quilting Club and the Piney Woods Quilting Guild in Pine Grove, La. A special thanks to the loving care provided by her devoted sitters. Family requests that in lieu of flowers, donations in her memory can be made to St. Jude Children’s Research Hospital or Full of Grace Inc. in Amite, La. Visitation at St. Helena Catholic Church Hall from 9:30 AM until 11:00AM with Funeral Mass at St. Helena Catholic Church at 11:30AM on Saturday, September 23, 2017. Services conducted by Fr. Mark Beard. Interment Greensburg Cemetery, Greensburg. McKneely Funeral Home, Amite, in charge of arrangements. For an online guestbook, visit http://www.mckneelys.com. Pamela Grace Easley Viator Connelly, of Osyka, passed into the loving arms of her Heavenly Father in the early morning hours on September 20, 2017, at her home. Pamela was born in Baton Rouge, LA, April 19, 1963, to Bobby Easley and Grace Ann McDaniel Estess Taylor. Pamela was a 1981 graduate of Parklane Academy. She was an independent dispatcher for the JOWIN Company and was a hard-working, dedicated employee who took care of her customers and drivers. Anyone who knew Pamela knew she loved her family, her flowers and loved her LSU Tigers, win or lose. She had a contagious smile and loving spirit that touched everyone she met. She loved her Savior, Jesus Christ. She never met a stranger, and was always putting others before herself. She was a member of First Baptist Church Magnolia. She is preceded in death by her late husband, Mark A. Viator, Jr. and grandparents, Grace and W.H. McDaniel and Gladys and James Clarence Easley. 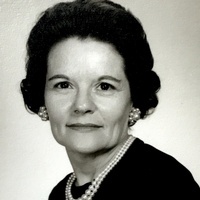 Pamela leaves behind her husband of 22 years, Geoffrey Connelly; daughters, Allison Viator and Christie Viator; three sons, Randall Connelly, Mark Anthony “Tony” Viator, III and Dustin “Dusty” Viator; her mother, Grace Ann Taylor and husband, Randolph; her father, Bobby Easley and wife, Dianne; two grandchildren, Madilyn Ray and Christian Mixon; one brother Rusty Easley; a sister, Ashley Brister and husband, Josh; a special nephew, Craig Louviere and wife, Melanie; a special father-in-law, Mark A. Viator, Sr. and numerous nieces, nephews and dear friends who will never forget her gentle spirit. Visitation is Friday at First Baptist Church in Magnolia from 5PM until 8PM and continues Saturday from 9AM until services at 10AM with Rev. Joe Gunter officiating. Burial will be in Terry’s Creek Cemetery under the direction of Sharkey Funeral Home in Summit. Pallbearers are, Luke Snow, Thad Snow, Brandon Drury, Craig Louviere, Nelson Ott and Matthew Kleppinger Honorary pallbearers are Sam Estess and Richard Paul Cutrer. This morning we will have Bible Study at 10:00 at FBC, Kentwood. You are invited to join us. We had a great time last night at the cabin. Five different churches were represented. but we’re all one in God’s family. If you didn’t come, I invite you to come next month on the 3rd Thursday of the month.